It was inevitable really, what with the ongoing trend of making electronics smaller, thinner, and more ergonomic. 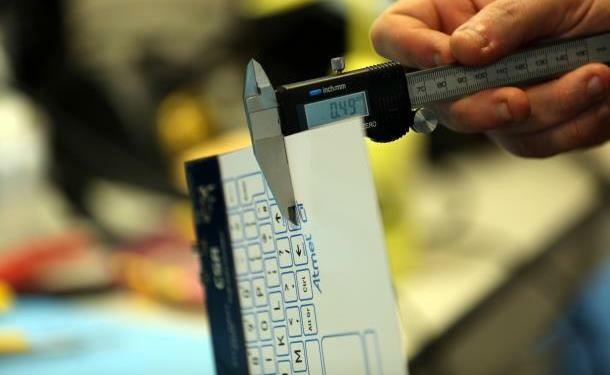 Yes, it seems that this latest prototype keyboard/touch surface is not only incredibly thin but virtually weightless and very energy efficient. 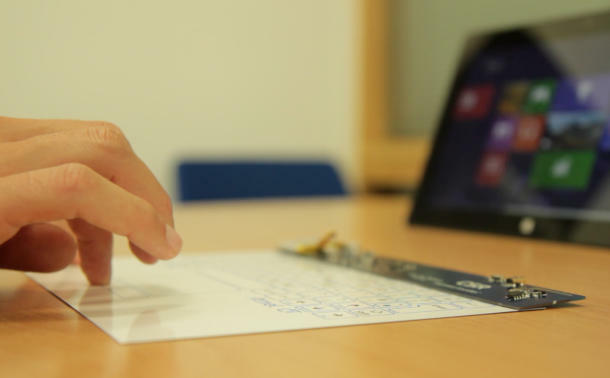 Built by CSR using Bluetooth Smart technology, this wireless keyboard does not rely on batteries and is less than 0.5 mm thick. This makes the prototype the thinnest touch surface and computer interface in the world to date. Relying on a combination of microcircuits, it was also produced using an additive printing technique from Conductive Inkjet Technology and Atmel touch sensors. By relying on 3D printing technique, the technology can be scaled for different sizes and purposes. The obvious use for the technology development is as an extremely thin and lightweight keyboard, but it could also be designed as an extended touch surface that can respond to swipes, pinches, or stylus input. With additional micro-circuitry, it could even be adapted to respond to bending and flexing, like many prototype surfaces that are currently in development for smartphones and tablets. CSR is promoting the prototype as “the world’s thinnest wireless touch interface.” Though it’s not quite paper-thin, it’s getting awfully close. The keyboard was unveiled at this year’s International Fiscal Association, a consumer electronics show that was held in Berlin from the 6th to the 11th, alongside many new and exciting technologies and devices (more on that later). Naturally, CSR intends to work with developers to bring the technology to market in the near future.